Anyway, here's the infamous John Duncan's Pleasure Escape album. I was kinda hooked right after first I listened, because not the John's "performance art" recorded in this album, but how he make a theme/story in a track which just sounds like sleeping with a recording device. And the second track : "Move Forward, Film Soundtrack" was also great, reminding me of the track "Broken Promise" which included John's album Organic but more intense. Again, this album doesn't contain explicit content but a theme is. 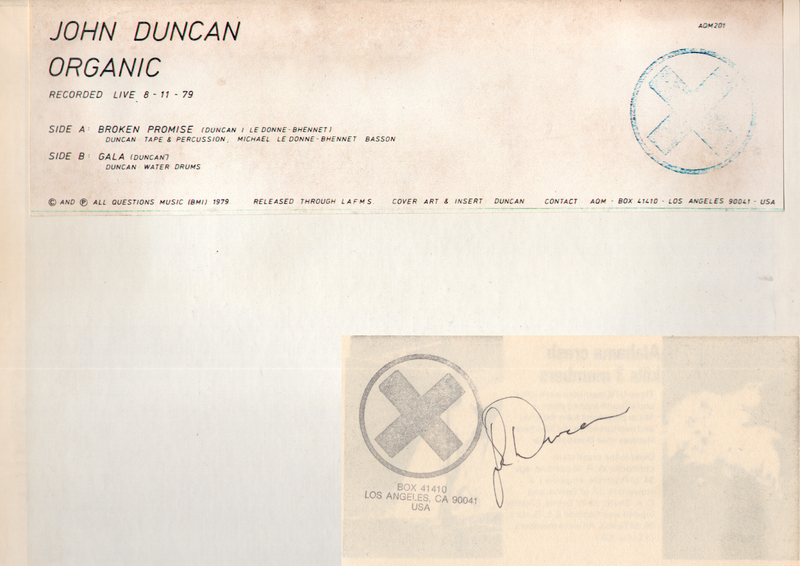 For someone doesn't familiar with this album or John Duncan I recommend to searching about this album first. Thanks for this -- great post and nice to see you back!